When it comes to a hefty investment like your Mac Pro is, you want to do everything that’s within your power to properly protect it. For that purpose, there are many protective cases available on the market that you can use. However, not all of them are made the same – many models will only protect your device from basic scratches and don’t offer any peace of mind in case you accidentally drop your precious laptop. 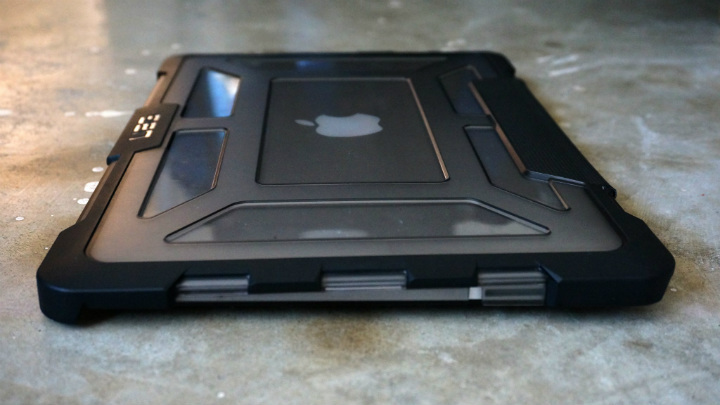 Luckily though, I can swear by the great efficiency and sturdiness of a few that I have personally tried and tested – with my absolute favorite one being the UAG MacBook pro case. Unlike backpacks and padded sleeves which are designed to cushion a laptop from casual abuse, the UAG MacBook pro case was created to permanently clip on to the bottom panel and lid of your laptop providing the ultimate level of protection. It is predominately made out of clear or grey-tinted polycarbonate, which allows you to keep on enjoying your MacBook’s industrial design. Many people complain that removing the case is a little difficult, but for me, that isn’t a fault, but actually a great feature. The case’s death grip on your laptop will keep it from flying off if you happen to drop it. It also comes with two halves joined together by a strip of textured rubber. This makes the case’s otherwise slick polycarbonate exterior easy to grip. There are cutouts for the laptop ports and venting in the bottom half of the case to keep the laptop from overheating. Mac goes to great lengths to keep the weight of its devices to a minimum. UAG does too. The patented “composite’ design, for instance, blends a tough outer shell with a soft, impact-resistance core. All of this is achieved with a feather-light body so you are not burdened with unnecessary bulk. To improve your laptop’s survivability in case of accidents, the edge of the top half of the case is surrounded by a thick layer of rubbery impact-absorbing material. Once sealed up, the case clamps together in such a way that it won’t accidentally open when dropped. 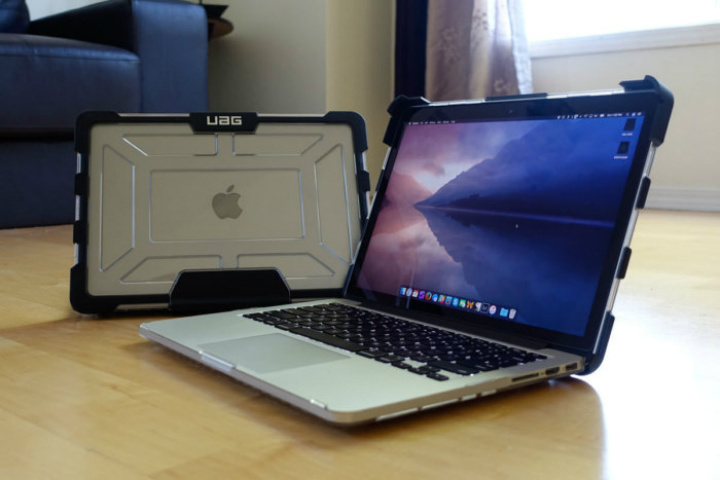 If you are in the market for the best protective case that besides beautifying it, it will actually protect your device, take a look at the UAG MacBook pro models. They will certainly help protect your investment and more importantly, you will rest assured that your device will be in great condition at all times and that it will be there for you when you need it the most! How Important are Printer Inks for the Quality of Your Photographs?